Staying well-fed is the key to any recovery program. Deliver the grub with this U.S. Military Tray Set. 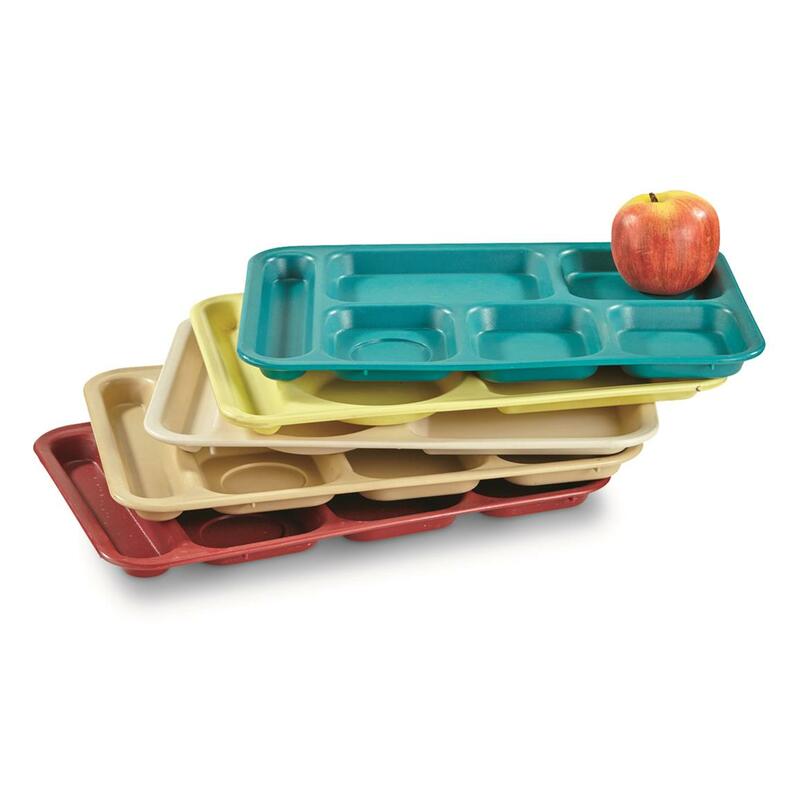 5 used plastic Trays, manufactured from a high-impact polymer you can drop on the floor without fear. 6 slots to keep food well organized. Lots of different colors, in a completely random assortment. Also great for organizing small parts next to your work bench. Some of these Trays could be new as this is a mixed batch. Sorry, no choice of condition. Condition: Used, in good shape. Some may be new. No choice.